Not sure if this is the right paint for you? 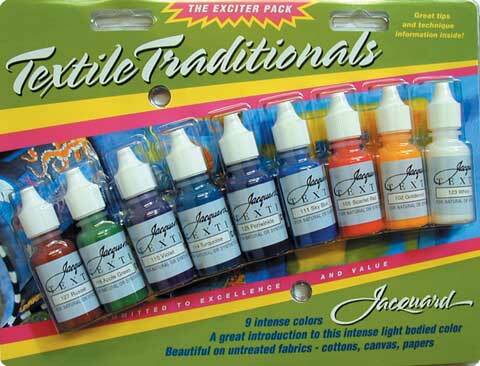 This assortment includes nine Textile colors in 1/2 oz. sample sizes. Colors include: apple green, goldenrod, periwinkle, russet, scarlet, sky blue, turquoise, violet and white. It's the perfect way to give the paints a try.